Morning Field Trip, 9-10:30 AM: Join Doc Bayne on a hike to the Crossway, Paterson, Conklin, Mountain and Smith mines. Meet at the hikers' parking area located on the west side of Long Meadow Road, County Route 84. Look for driveway entrance just south of the Scott Mine Hoist Tower and opposite the Town of Tuxedo recycling area. Hike will start promptly at 9:00 AM. 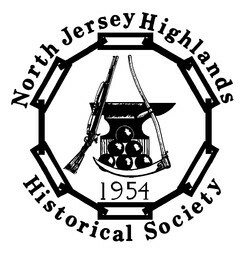 11:10-11:35 AM "Peter Hasenclever in His Own Defense"
11:35-12 PM "The 'Forgotten' Documents at the Ringwood Manor Archives"
Archaeological Investigations Conducted by the North Jersey Highlands Historical Society"
Edward J. Lenik, R.P.A., NJHHS & INC.OCCNYSAA. Plantation in the Appalachian Highlands of New Jersey"
Investigations of the Valentine & Co. Iron Ore Washing Plant (36CE526), Centre County, Pennsylvania"
Gary F. Coppock, Skelly & Loy, Inc.
2:30-2:55 PM "A Theoretical Layout of the Colonial Ironworks at Long Pond"
2:55-3:20 PM "The History of the Crossway, Paterson, Conklin, Mountain, and Smith Mines at Sterling Forest State Park"
Donald "Doc" Bayne, Friends of Sterling Forest. 3:20-3:45 PM "'Go East, Young Man': What Robert Esrkine Didn't Do"
The conference is open to the public. Admission is free of charge. If you require further information, contact Ed Lenik by email at edlenik@hotmail.com.